Concrete Admixture - Polycarboxylate Superplasticizer Ether of High Water Reduction PC-F - MUHU (China) Co., Ltd.
Polycarboxylate Superplasticizer (PC-F) is a liquid that uses to improve the superb water-reducing performance in the application of ready mixed and precast concrete industries. PC-F is a ready-to-use liquid superplasticizer that extremely improves the superb water-reducing performance when comparing with superplasticizers based on existing polycarboxylic systems. PC-F Polycarboxylate Superplasticizer for high water reducing has been primarily developed for applications in the ready mixed and precast concrete industries where the highest durability and performance is required. PC-F Polycarboxylate Superplasticizer for high water reducing complies with the requirements of the following standards: ASTM C 494, Type E & F. BS EN 934-2. 1) PC-F for high water reducing is suitable for long-distance transported pumping concrete, high fluidity concrete, self-leveling concrete, plain concrete, free vibration self-compacting concrete, and high strength concrete, etc. 2) PC-F for high water reducing can be widely used in hydraulic project, electric power, port, railway, bridge, road, and various projects. 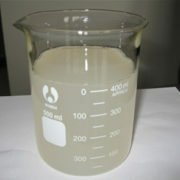 1) PC-F water reduction is up to 35% and its concrete slump is not lost in one hour. 2) PC-F has good storage stability, no precipitation or lamination at low temperature. 3) PC-F could be blended into 10% solution with water, which can be directly used as pumping aid agent. 4) Production clean degree is high: Due to formaldehyde, industrial naphthalene, acetone or other flammable, and toxic chemicals being not used in production process, it meets cleaning production standard. This new production technology is a fully automated process without heat production. 5) Safety: This product is non-toxic, non-radioactive or non-flammable. There is no harmful material for steel and aggregate. There is no formaldehyde or other harmful aromatic residues. It meets the requirements of indoor and outdoor environment. ■ The optimum dosage of PC-F to meet specific requirements should always be determined by trials using the materials and conditions that will be experienced in use. Recommended dosage: C × 0.5% (calculated according to PC-F). Before using or when replacing cement, determine the optimal dosage through concrete testing. 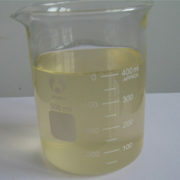 ■ This product is a liquid packaged with plastic drum, 240 kg/drum, or 1000 Liter / IBC tank. Be in bulk according to customer’s requirements. ■ This product is non-toxic or non-flammable. Keep in dry place and be away from direct sunlight. 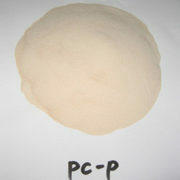 ■ PC-F polycarboxylate superplasticizer has a minimum shelf life of 12 months provided it is stored under cover.